The Communications Department works with the City Administrator’s Office to provide strategic public relations and creative services that effectively enhance public awareness of city-sponsored initiatives. The Communications Department supports these efforts by managing the city’s website, social media accounts, media/news releases, and production of informative video. The Communications Department develops and manages content of and responds to comments on the City's primary social media accounts. We are committed to using social media tools to enhance communication, collaboration, and efficient information exchange. 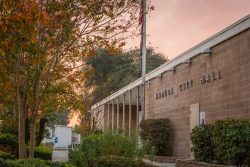 The City of Madera reserves the right to restrict or remove any content that is deemed in violation of the City's Social Media Policy or any applicable law. We ask that you read and follow the City's Social Media Policy located here. Amateur and professional photo/videographers of all ages are invited to submit content they are proud of to showcase Madera's beautiful environment, active people and vibrant community life. If you have photographs or video content that you would like to share that fall within one of the categories below, we'd love to hear from you. NOTE: Content with embedded captions, names and/or watermarks of any other sort can not be used. Please submit original content without these alterations. The city will add credit to any content it uses utilizing a standard format. If you have any questions, please contact our Communications Department. By selecting this box I am indicating that I, , hereby grant the City of Madera the right to use this photo/video content submission for the purposes of publishing, illustration, advertising, trade and promotion, or any other use in any medium for any purpose of the City of Madera. I hold the City of Madera harmless from any and all liability that might arise out of or result from the foregoing use. City of Madera Employees may access the internal communications portal at any time by clicking here. Dig deeper with the MaderaProud Moments newsletter. You may have noticed that your Utility Billing newsletter has started looking a little bit different. The City is thrilled to announce the launch of “MaderaProud Moments”, an interactive monthly newsletter focused on bridging the gap in communication between residents and your local government. From time to time, articles will feature additional online content where residents will be afforded new opportunities to engage. Whether by voting on polls, providing direct feedback to decision makers, viewing rich content such as videos or audio content, or to simply read further into topics of interest. Keep an eye out for QR codes, which allow you to dive deeper into an article simply by scanning it with your phone’s camera. Sign-up to receive media press releases.